Phnom Penh is the capital and largest city of Cambodia. Located on the banks of the Mekong River, Phnom Penh has been the national capital since the French colonized Cambodia, and has grown to become the nation's center of economic activities. 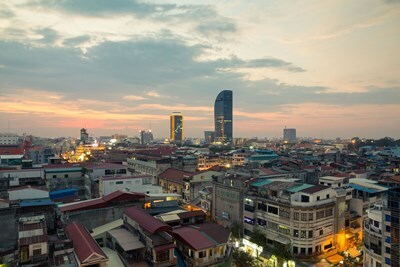 Phnom Penh has grown to become the industrial, commercial, cultural, tourist and historical center of Cambodia. Once known as the "Pearl of Asia", it was considered one of the loveliest of French-built cities in Indochina in the 1920s. This description uses material from the Wikipedia article on Phnom Penh and is licensed under the Creative Commons Attribution-ShareAlike License (view authors). 24 people want to do this. 13 people have done this.